From Dragon Quests and Shin Megami Tenseis to Pokémon and Fire Emblems, the 3DS is an RPG powerhouse. It's a testament to the eShop's offerings, however, that those famous names are flanked by a flurry of mid-tier RPGs of every persuasion, some of which are certainly worthy of your time. Kemco has been a prolific publisher in this niche, turning out quite a few mobile ports, including Alphadia, Justice Chronicles, Infinite Dunamis and now Unlucky Mage. Unlucky Mage doesn't do much to break out of the mould of its predecessors, but it's still a commendably decent option for a quick RPG fix, with solid writing and likable characters to boot. 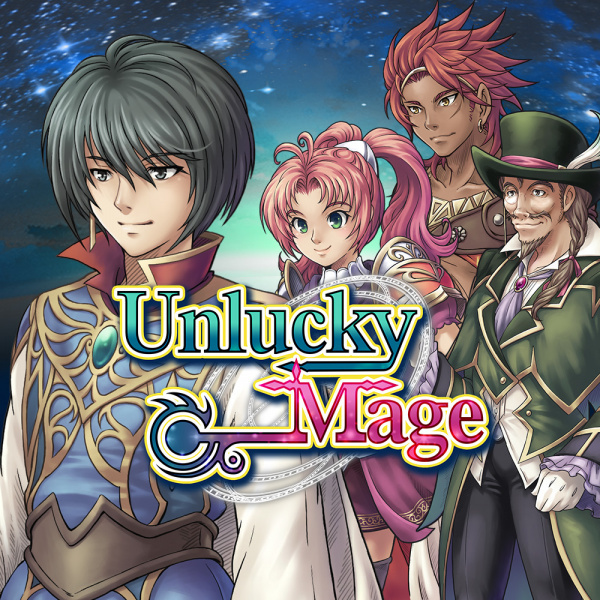 It's not hard to see where Unlucky Mage gets its title from; moments after the curtain rises we're introduced to Jasper, a young, orphaned magic user who's — as you might expect — not having the best go of it. He's a reluctant resident of Adamantia, where warring kingdoms have made life miserable, monsters run riot, and local humans have gone full Salem in their hatred for mages like Jasper, whom they blame for their newfound monster problem. Though Jasper's happy enough to sit contentedly in his library and ignore the outside world, his plans for blessed solitude don't last long — while heading into town for a quick shop, he gets caught in the middle of a human skirmish, ignites the ire of a powerful warlord, and ends up fleeing for his life right into the arms of a kindly princess of a neighbouring kingdom. His 'misfortune' carries on from there, as he reluctantly teams up with the optimistic ruler and — along with a group of ragtag companions — sets off to right the wrongs of his world. In gameplay terms, Jasper's quest looks much like Kemco's other eShop RPG offerings: you'll travel from town to town over a Dragon Quest-style world map, fighting monsters in random encounters on the overworld and in caves and dungeons, and finding your way to more powerful bosses before starting the cycle anew. It's a classic template, and enjoyable in its simplicity — it's also a relatively quickly-paced adventure, so though there's lots of dialogue (especially at the outset) and random encounter rates are high, it usually feels like you're on your way to something new. Unlucky Mage's battles are likewise familiar. Using the right-to-left 2D perspective of early Final Fantasies, you'll direct your characters to attack, defend, or use Skills (which consume SP) in straightforward, turn-based combat. 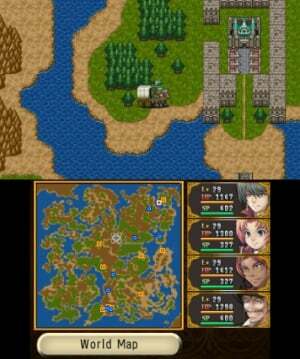 It's unlikely to surprise anyone who's played an RPG in the past 20 years, but it does have a few interesting wrinkles, like auto-activated passive skills and 'Formations', different arrangements of your combatants which can affect not only how much damage they give and receive, but also prevent certain status effects, regenerate health, or bestow other bonuses based on which one you choose. In a nice touch, these Formations have actual names — like 'Storm' or 'Fortify' — that give them a bit of personality; happily, added personality is a thread that runs through much of Unlucky Mage. One of your party members starts out with offensive Skills named not 'Fire' and 'Blizzard' but 'Outta the way!' and 'Quit staring at me! ', you'll recharge HP and SP not at generic magical locations but at burning campfires with specific meals roasting over them, and every successful battle ends with your party striking power poses. 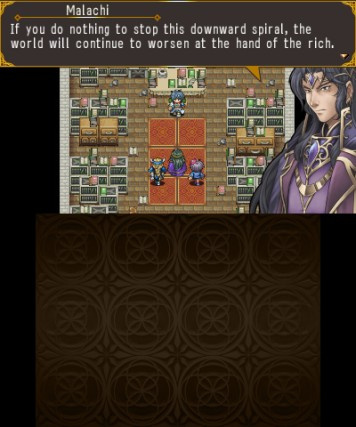 That's all backed up by some surprisingly competent writing as well; it's not out to win any awards, but Unlucky Mage's script is also free of the typos, grammatical gymnastics and trainwreck tone shifts that characterize many mobile-to-3DS RPG ports. It also helps make the characters significantly more likable and intriguing than those of similar games; there're still tropes aplenty and a few one-note wonders, but Jasper and his core companions are worth meeting, and see decent development as they go. Unfortunately, the rest of the presentation falls well short of that high point. Graphically, Unlucky Mage channels PlayStation-era 2D to reasonable effect, but lacks the charm and originality that made the best of those early classics so memorable. Backgrounds, towns and dungeons have a heavily-tiled, RPG Maker look, enemies and monster designs are generic and uninspired, and sprites — while pretty — are choppily animated. Every on-field character is caught in a permanent running-man loop, and though it's unintentionally endearing, the fact that the only 'emote' animation is a character doing a full 360° turn at different speeds definitely feels off; we love the idea that 'happy', 'angry', 'hungry', and 'profound sense of loss' are all expressed with a brisk pirouette in Unlucky Mage's world, but it also feels a bit cheap. There's no 3D effect, as we've come to expect, but even in just two dimensions, everything moves with a jittery, low frame-rate that's exacerbated by the painfully slow (but thankfully adjustable) default walking speed. Musically it fares better, with a varied set of lovely melodies, including a downright catchy town tune and an arpeggiated harp motif that should strike crystal-inspired nostalgia into any Final Fantasy fan's heart. As with other Kemco titles, the loops are far from seamless — and that spills over into the always-jarring transitions between themes — but at least they're decently long here. The biggest problem in the audio department is undoubtedly the ever-present 'ding', a quickly obnoxious chime that seems to be the go-to sound effect for everything from 'confirm' and 'cancel' to 'move the cursor over anything'; aside from that standout, other effects are recycled from past Kemco RPGs and fit the retro-inspired theme well. The Unlucky Mage lives up to its name in some ways — especially in its generic, subpar presentation — but it has a few tricks up its sleeve as well, with quality writing and a distinctly appealing cast of characters. In-between those extremes sits a gameplay template that delivers on exactly what it promises without really excelling: this is a no-frills, turn-based RPG in the 32-bit vein from start to finish, and how much you'll enjoy the experience hinges on how much that describes what you want to play. On a system like the 3DS, there's no shortage of top-shelf RPGs to choose from, but if you've played the best and are looking for a solid mid-tier effort, you might just be in luck. Kinds of reminds me of Lunar Legend on the GBA. Might pick this one up as I loved Lunar on GBA. @MagicEmperor If I remember right it shared similar issues as this one (the generic combat system and design). However if the story is captivating like it was in Lunar Legends I can look past that. Kemco games on mobile phones are fine as a fun retro rpg to pass the time, but they don't hold up well on handhelds because the standards are so much higher. Not saying the mobile market doesn't have it's fair share of good rpgs. This just kind of screams "Generic JRPG" to me. 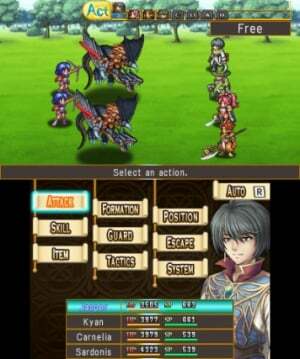 I had a feeling that Kemco really loves making RPGs but doesn't had the main ingredients to make a great one. Hopefully someday that great one will come. 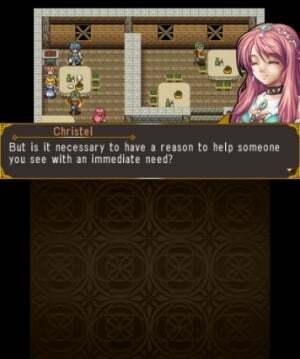 Not sure why kemco doesntnl just spend more time making one good game instead of 50 rubbish ones. 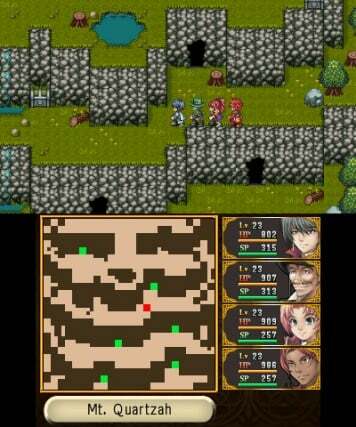 While it's not like there aren't more really good RPGs on the 3DS then you have time to play; everyone deserves a chance, and this is likely still a serious attempt at a small scale and ultra-low budget. @Mega_Yarn_Poochy Wow, quick meme! That footage aired less than 24 hours ago. Haha. Hilarious. @Wexter Haha! I love Lunar. My username and avatar are related to it, to those who didn't get the joke. OMG i HATE that ding! I mean after every dialogue window c'mon MAN! at least let us turn it off, they had to alter some of the code anyway why not add that option. I might have to play with the sound turned all the way down. I was hoping Kemco would 3dize the menus in these games myself. But I do like them. In comparison to the top notch RPG's on the system these are good with stories and battles and short on graphics but decent for the most part. Well worth the 5 to 10 bucks you can get them for. I think ive bought all of them so far and will continue to do so. Haha my backlog gets bigger. Now my backlog is sick........all the way back to the TG16. Now how sick is that? @retro_player_22 Kemco is all about quantity these days. Just check their list of gsmes on Android (and probably iOS). I don't think that will change. @Siskan They probably care about the money perhaps.